Ted Thompson probably popped champagne in his office after the 2014 NFL Draft compensatory picks were announced yesterday. The Packers received a third-round pick for losing wide receiver Greg Jennings to the Minnesota Vikings and a fifth-round pick for losing outside linebacker Erik Walden to the Indianapolis Colts. 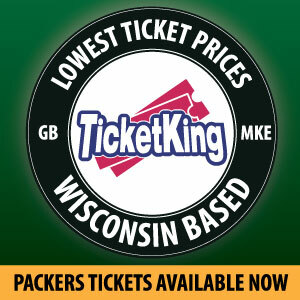 Green Bay receiving those two picks for Jennings and Walden is larceny. Jennings received a five-year, $45 million contract with Minnesota last offseason. He caught 45 passes for 804 yards and four touchdowns. It is safe to say that the Packers did not miss his presence much, as Jordy Nelson, James Jones and Jarrett Boykin all had very solid seasons. The Packers are getting Jennings for a third-round pick when the Philadelphia Eagles are just trying to get any pick they can for DeSean Jackson. Jackson is one of the fastest wide receivers in the NFL, is in his prime and made the Pro Bowl last season, while Jennings is 30 years old and on the downside of his career. Something doesn’t seem right there, and this is Thompson at his finest. Thompson drafted Jennings in the second round back in 2006 and was greatly rewarded. Jennings caught 377 passes for 6,023 yards and 51 touchdowns in seven seasons for Green Bay. Now, he nearly got the draft pick that he spent on Jennings back instead of paying him big money on the downside of his career. That is pure brilliance. Somehow, getting a fifth-round pick for Walden might be even a bigger steal than the third-rounder for Jennings. If the Packers had tried to acquire a draft pick for Walden when he was in Green Bay they probably would have been laughed off the phone, yet they are getting a fifth-round pick for him after Indianapolis signed him to an absurd four-year, $16 million contract. Walden started for the Colts, but he had little production, as he only had 45 tackles and three sacks on the season. It is still extremely puzzling what Colts general manager Ryan Grigson saw in him. Apparently, he never saw the tape of Walden in the 2012 NFC divisional playoff game at San Francisco, as Walden is probably still trying to chase down Colin Kaepernick. Compensatory picks are another reason why Thompson’s participation in free agency is limited. Even signing Julius Peppers and LeRoy Guion this offseason will not have an effect on next year’s compensatory picks because they were released by their teams. Thompson always likes to have as many picks as possible, which makes compensatory picks very attractive to him. They are like getting free lottery tickets in his eyes. Some of Green Bay’s best compensatory selections have included Marco Rivera, Tyrone Williams, Matt Hasselbeck, Scott Wells, Josh Sitton and Mike Daniels. The two compensatory picks that the Packers received were No. 97 and 176 overall, which gives Green Bay four picks inside the top 100. This gives the Packers great flexibility to move up for a player that they covet or move back to receive more picks. Although, the two compensatory picks are not allowed to be traded. The Packers have many needs to address and having four picks in the top 100 in a deep draft can go a long way for them. They will have a great opportunity to get help at safety, inside linebacker, wide receiver, tight end and center. It would be such a Thompson move to use the compensatory pick he received for Jennings and use it to draft a young wide receiver who turns out to be a productive player while Minnesota is overpaying Jennings. Yesterday was a very good day for the Packers, and Thompson will be looking to take advantage of that when the draft comes around in May. This entry was posted in Matt Bove. Bookmark the permalink. 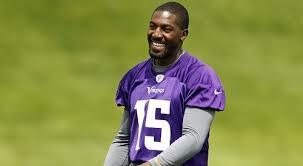 Jennings isn’t on the downside yet but the Vikings are the downside of his career. It is not a 3rd for Jennings and a 5th for Walden. Compensatory picks are a net loss/gain you have from free agency. If the Packers had signed a big name FA, they probably would have gotten less in compensatory picks. As far as Jennings, he signed a big time contract and is still a good WR. Just because the Vikings didn’t have a QB should not affect the compensation the Packers received. It is a net loss/gain criteria at first, but once that’s been determined and the players remaining are known, the picks are then based on those players’ contracts, playing time, etc. So in this case, with no Packers signings to offset the Jennings and Walden signings, the picks absolutely are based on those two players.